One of our premier anti-fatigue mats, the UltraSoft Diamond-Plate mats provide unparalleled comfort, resulting in enhanced employee productivity and morale. The double-thick Nitricell sponge base is PVC loaded with Nitrile rubber for exceptional comfort, rebound and long life. All edges have a safety bevel. 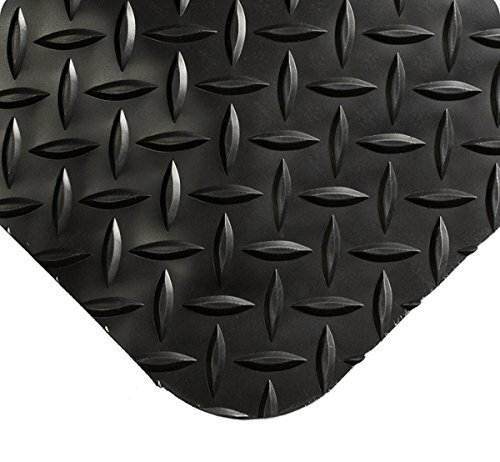 Designed for heavy-use areas, the high-tech, diamond plate surface resists abrasion and most chemical spills. Super-plush Nitricell 15/16" Thick support offers unparalleled comfort for long standing hours. If you have any questions about this product by American Floor Mats, contact us by completing and submitting the form below. If you are looking for a specif part number, please include it with your message.